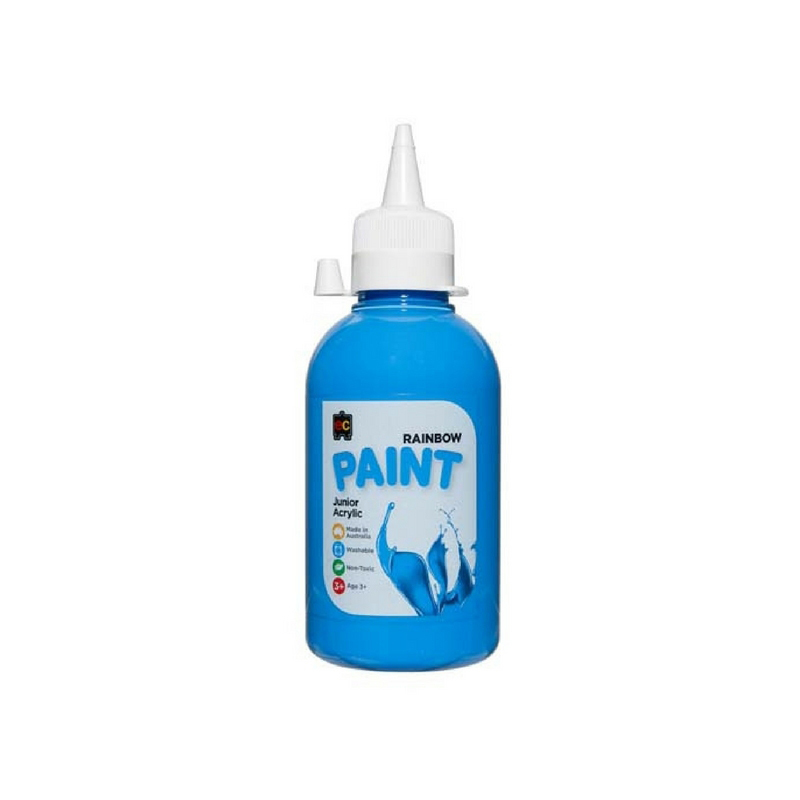 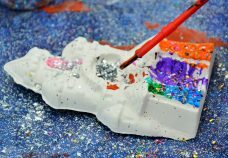 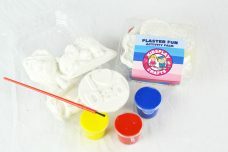 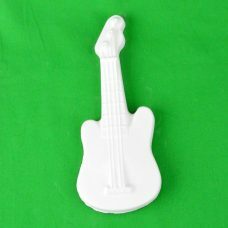 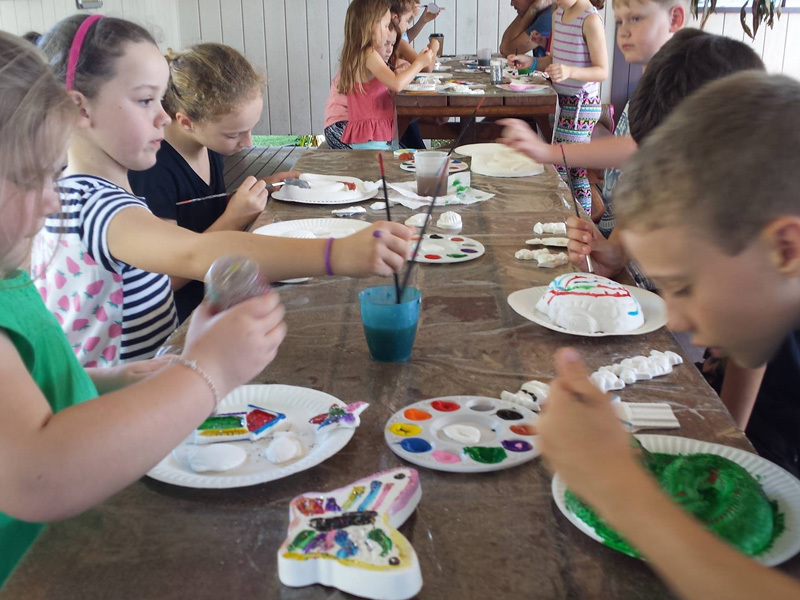 Plaster painting made easy with all you need to create amazing plaster creations right here at Kidsplay Crafts. 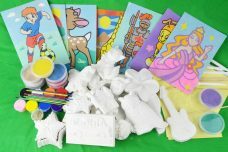 Entertain kids with our range of plaster packs, paint and brushes for home, education settings, kids clubs, holiday parks and events. 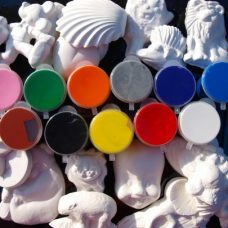 Our plaster is non toxic, dried under the Aussie sun and comes in a huge range of themes from superheroes and dinosaurs to fairies and animals. 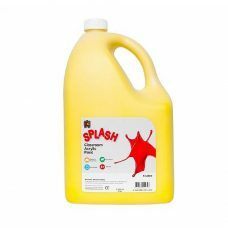 Perfect for weekends or school holidays! 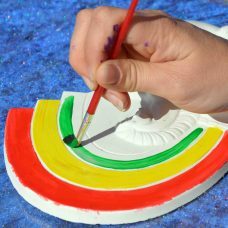 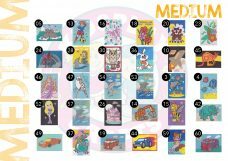 All Sand Art Cards measure 16 cm x 24.5 cm. 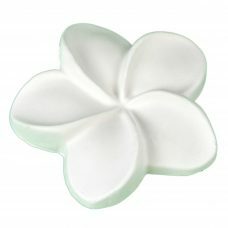 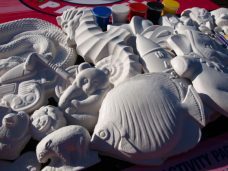 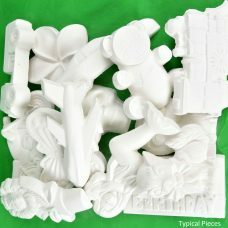 Includes: 50 large plaster pieces and 100 small plaster pieces. Packaged in small 250ml recyclable PET bottles. 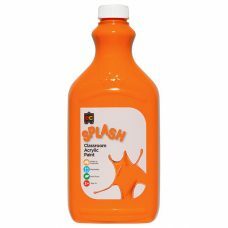 Reusable sauce bottle style cap is easy to use and keeps mess under control. 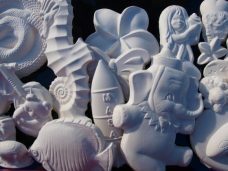 100 large plaster pieces with complimentary hangers. 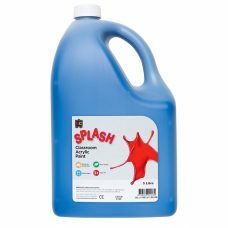 Extra 10% FREE to cover any breakages that may occur! 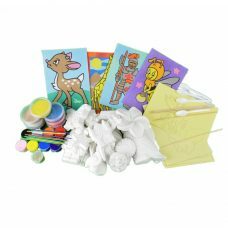 Why not order a Mega Pack or Crowd Plaster Pack with these paints and brushes for some Rainy Day activities ! 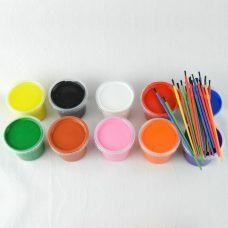 10 x 150 mls tubs of paint – red, blue, yellow, purple, pink, orange, green, brown, black and white. 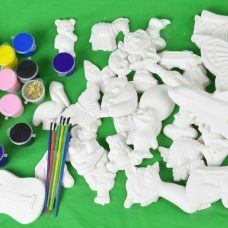 Bonus 10 plastic spoons and 20 brushes.